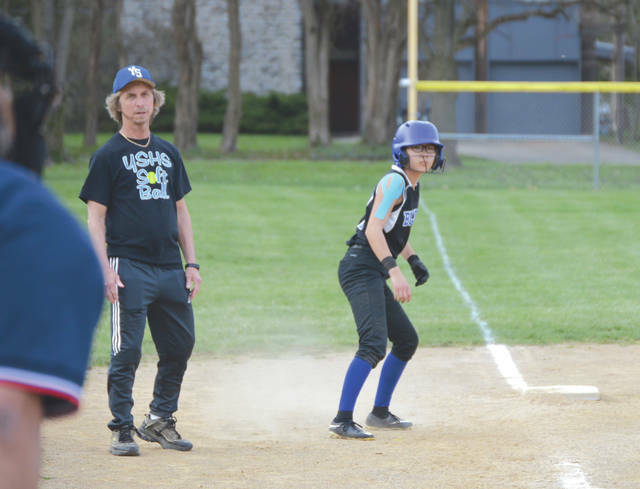 https://www.xeniagazette.com/wp-content/uploads/sites/32/2019/04/web1_DeLongRebeccaSpencer_PS.jpgDespite the Bulldogs giving up 13 runs in the second inning, Yellow Springs coach Jim DeLong and second baseman Rebecca Spencer both worked hard to keep their team upbeat throughout Thursday’s 21-13 loss to Marshall at Gaunt Park. 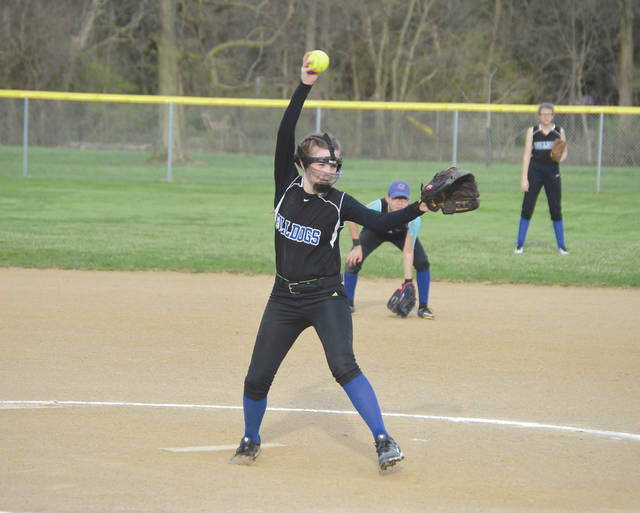 https://www.xeniagazette.com/wp-content/uploads/sites/32/2019/04/web1_AbegayleFlorence_PS.jpgYellow Springs pitcher Abegayle Florence delivers a pitch, April 11 in a girls high school softball game against visiting Marshall, at Gaunt Park. 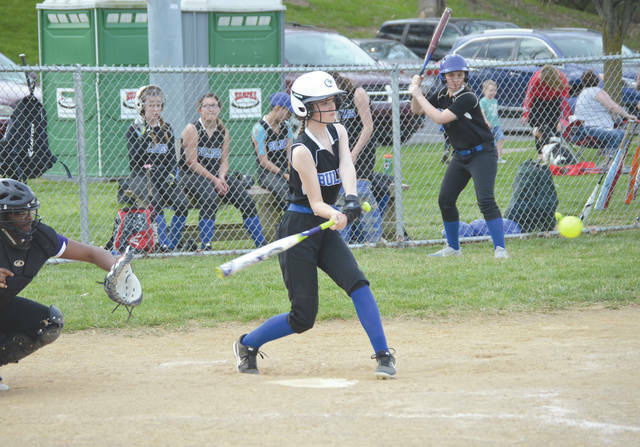 https://www.xeniagazette.com/wp-content/uploads/sites/32/2019/04/web1_AvaSchellHit_PS.jpgYellow Springs freshman Ava Schell smacks an infield hit in the second inning of Thursday’s high school softball game at Gaunt Park. 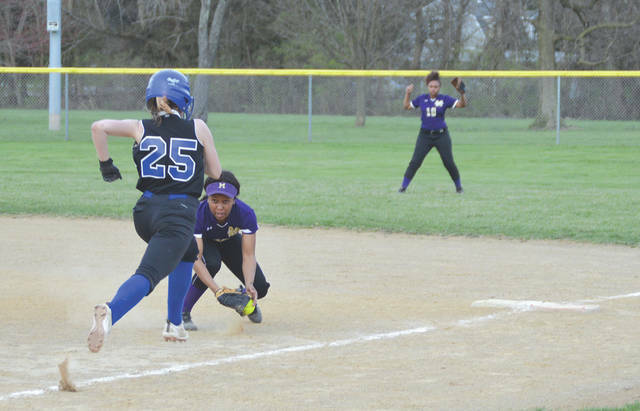 https://www.xeniagazette.com/wp-content/uploads/sites/32/2019/04/web1_DaishaWilliamsLilyRainey_PS.jpgThurgood Marshall first baseman Daisha Williams readies to make the tag on Lily Rainey of Yellow Springs for an infield out in the third inning, April 11, at Gaunt Park in Yellow Springs.